Rudy Giuliani claimed on Monday that President Donald Trump “never” spoke with Michael Cohen about congressional testimony in which the former Trump attorney has admitted lying about a construction project in Russia. Giuliani gave a less definitive answer to the question in an interview Sunday with CNN’s Jake Tapper. 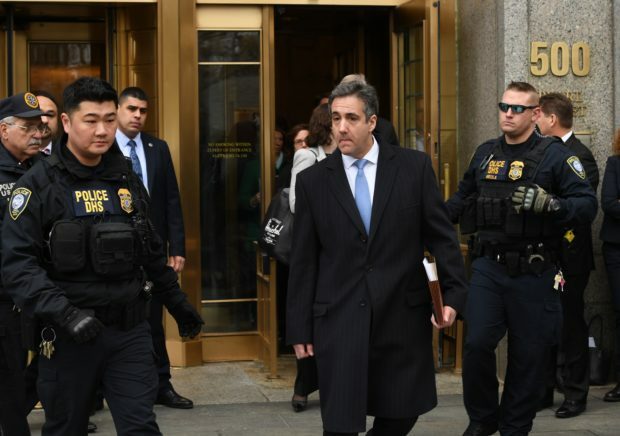 Cohen’s congressional testimony took center stage Thursday night when BuzzFeed News reported Trump instructed his former personal attorney to lie to Congress about the extent of his efforts to build a Trump Tower in Moscow during the 2016 presidential campaign. Cohen pleaded guilty Nov. 29 in the special counsel’s investigation to lying to Congress about the Trump Tower negotiations. The special counsel’s office has revealed Cohen was in contact with individuals at the White House regarding his testimony. BuzzFeed also reported Cohen had told the special counsel about Trump’s instructions to lie to Congress and that documents and witness testimony would support Cohen’s statements. “BuzzFeed’s description of specific statements to the Special Counsel’s Office, and characterization of documents and testimony obtained by this office, regarding Michael Cohen’s Congressional testimony are not accurate,” Peter Carr, a spokesman for Mueller, said in a statement Friday night. For its part, BuzzFeed says it is standing “100 percent” behind the report. Giuliani told the Daily News that John Dowd, a former attorney for Trump’s Russia legal team, had confirmed to him that Trump never spoke to Cohen about his congressional testimony. Dowd, who resigned from Trump’s legal team in March, also told the Daily News that Trump did not speak directly with Cohen about the testimony. Dowd said he did not speak directly with Cohen, but did not rule out that others on Trump’s legal team spoke with Cohen’s attorneys. What remains unclear from the BuzzFeed report is what documents were viewed for the report and when Cohen allegedly spoke with Trump about his testimony. It is also not known when BuzzFeed believes Cohen told the special counsel about Trump’s instructions to lie. BuzzFeed and its reporters have declined to discuss specifics about the documents and timeline of the alleged conversations.